Barbara Frohmader was born and raised in Mexico, so color and verve are in her blood. When I reached her by phone to make an appointment to chat, she was in her car with her granddaughter. I offered to call her back when she was less busy, but she said that she probably would never be less busy, so she pulled over and we talked about her career then and there. Barbara moved to this area ten years ago from Augusta, Georgia, where she raised her family and taught high school Spanish. Later she was a volunteer coordinator in a hospital. And after that she used her language skills to be a medical interpreter. After retirement she took some classes in plein air painting which took her to Arizona, Spain, Italy, and Portugal. She will be traveling to Taos to paint in September and to Portugal. Barbara has studied with several masters including one water colorist in Myrtle Beach. Overall nature is her source of inspiration, whether she is doing photography, water color, or acrylics. Barbara’s work will be featured in a fall WNC Open Studio Tour. The organizers wanted to move out of the River Arts District and feature the work of artists from the towns surrounding Asheville. The show will span the dates of October 1-16. Why? As a visitor to our studios, you will be welcomed, appreciated and inspired. 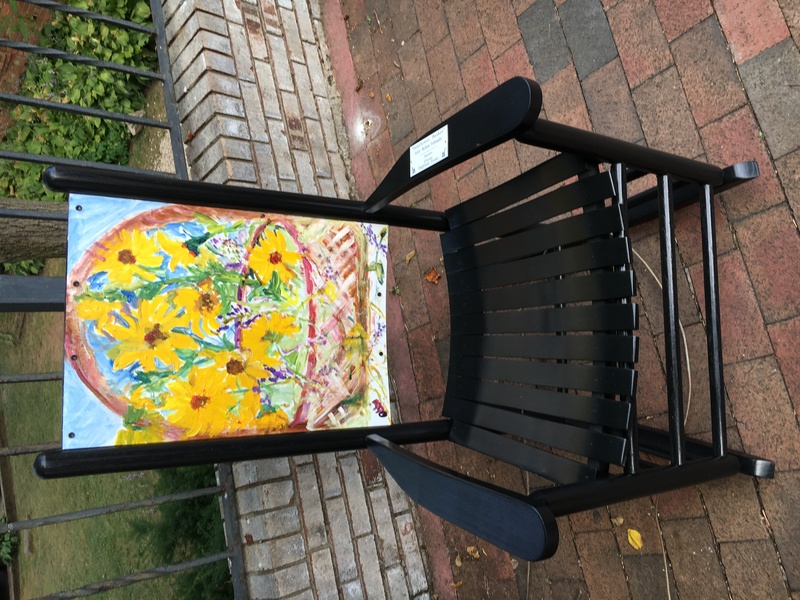 Barbara has enjoyed participating in the Rocking Chair project, and will do so again. 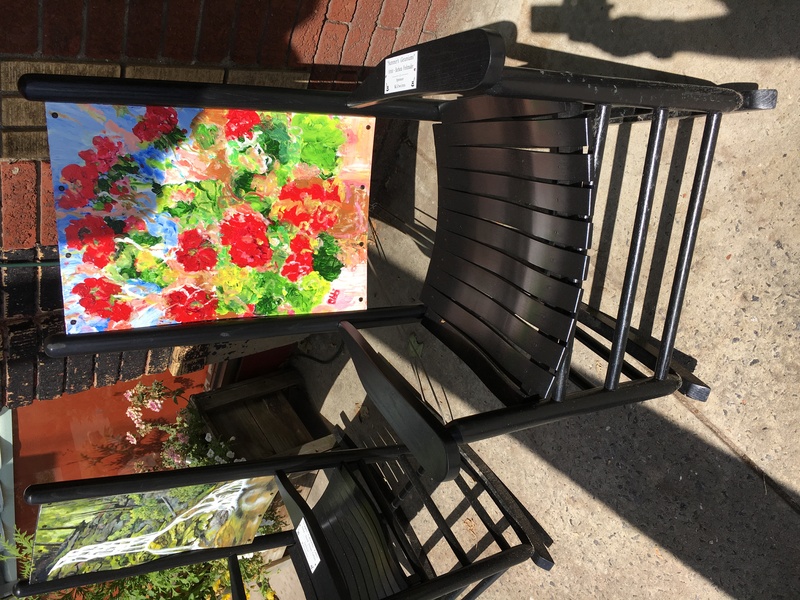 She is currently chair of the Swannanoa Valley Art League, and her work can be seen at the Red House and in the Monte Vista Hotel.